This species occurs upstream of Cliff Dwellers Lodge, and downstream at least to Colorado River Mile 209. A similar, but somewhat darker population occurs farther downstream and in the lower Virgin River, although the taxonomy of that population is unclear. 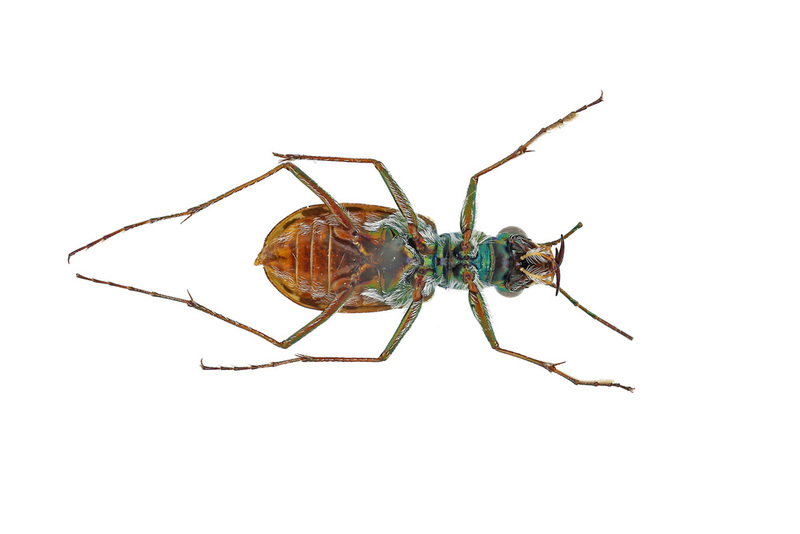 The Grand Canyon wetsalts tiger beetle was first discovered in Grand Canyon by Rowland Hayward and C.H. Townsend, who collected a specimen in July 1892 near John Hance's in-canyon cabin site, where there once was a spring that no longer exists. David Rockefeller collected another specimen at Phantom Ranch in July 1934. The Grand Canyon wetsalts tiger beetle is endemic to the Grand Canyon. It is bronze colored, about 1/2" long, with cream markings (maculation) and a reddish underside. Many Grand Canyon specimens have a greenish-bronze cast to the thorax. The adults are agile and found at the edge of spring fed streams, such as Hermit Creek, in mid-summer. They sit upright, attentively searching for prey and enemies, but are easily alarmed. They fly away and hide when one approaches within about 5 feet. The larvae live in tunnels and lunge out at passing prey - primarily soft-bodied insects. Stevens, L.E., J.D. Ledbetter, M.A. Joyce, T. Cheknis, and G.D. Alpert. 2015. Grand Canyon wetsalts tiger beetle (Carabidae-Cicindelinae: Cicindela hemorrhagica arizonae). 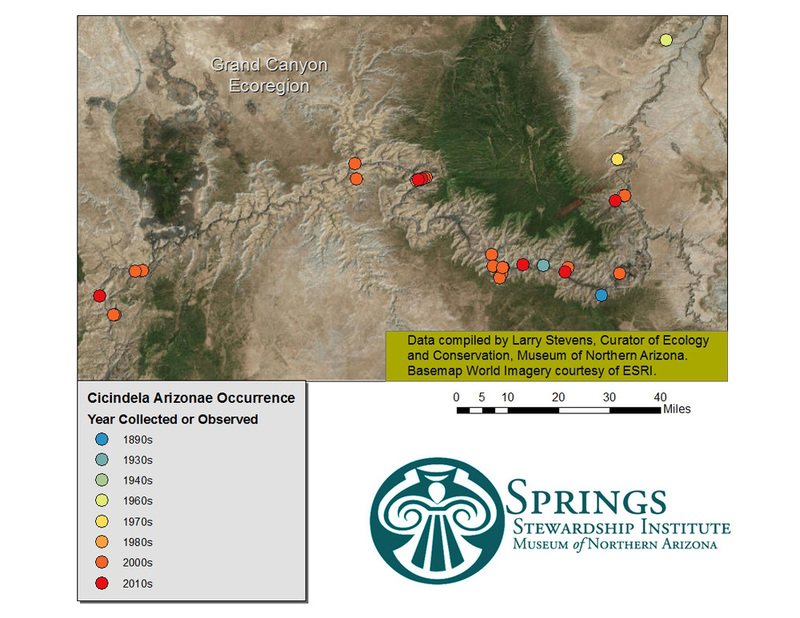 Springs Stewardship Institute Springs-Dependent Species 20150512. Museum of Northern Arizona, Flagstaff.